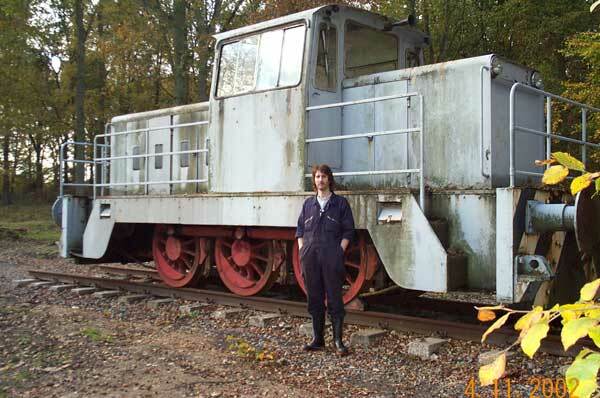 This is a diesel shunter, which came originally from NCB Friston, but had been at Milton Park Trading Estate, Didcot, Oxfordshire for a number of years. We moved it to the farm at the end of October 2002. Here you can see the inside of the cab. Here the shunter is being collected from Milton Park. Here the shunter is being delivered to Oakwood Farm.